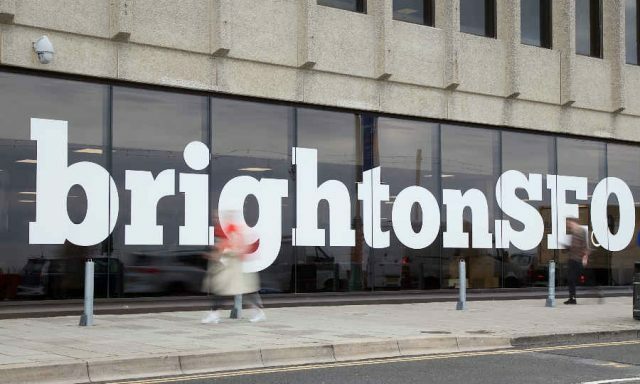 I work on the paid search side of things here at MintTwist and this was my first year heading down for Brighton SEO. It was last Friday and is an event in which speakers across all digital marketing channels came and gave their insights into various best practices, strategies, optimisations and predictions for the future. There were some great talks and it was a good chance to meet like-minded people to pool our collective knowledge and engage with experts in the industry. Overall it was a great day and I think everyone attending learnt a lot and were able to come away being able to do their job a little bit better, plus it was by the sea and the sun was shining. I may be on the paid search side of things but as a full-service agency I get exposure to all areas of digital marketing and on Friday one of the talks I found most interesting was by Adrian Phipps on ranking in position 0 on the Google SERP. I’m going to provide a summary of Adrian’s deck as well as a whitepaper link he provided. The obvious benefits that come with content from your site being displayed in the answer box on Google’s SERP means that this position is a hotly contested prize. There are a few things you need to make sure you are doing to be in with a chance to gain this position but it seems that quality content that is created to answer questions is the most effective. It all boils down to Google wanting to create a great user experience to maintain it’s position as the most popular search engine and keep profits from it’s paid services such as AdWords rolling in. Therefore, it means there are no shortcuts when it comes to attaining a rank position 0. That said, there are a few things you should be doing to increase your chances. As Google introduced these features without formally naming them, several names for the same things appeared and have caused a little ambiguity. Below we can see the definitions provided by Google and some of the ‘slang’ terms people have coined. Adrian reminds us that the most important thing to think about when setting out on your quest to rank position 0 is to remember intent. Understanding what the user is looking for is key to creating the content that will answer these questions. A common mistake is creating content that may well be interesting but does not quickly and concisely answer the user’s questions. As we can see there are several common terms for each feature. A featured snippet is an answer to a question and the information will have been gleaned from your site and displayed in a structured box at the top of the SERP with a link to your site. From the data provided in the whitepaper which analysed a million SERP’s with the highest CPCs we are told 27.58% of the time an image is also provided. More on this whitepaper later, now back to the deck. This is what a featured snippet looks like. I’m sure you’ve seen one when on the computer and find yourself trying to remember the name of an obscure actor or town you visited as a child and now can’t continue your day without finding out. They seem to be designed for the increasingly impatient amongst us who want instant, accurate answers. We are reminded that when creating content for your site in the hopes of having it plucked from the ocean of white noise of information and ushered like an emperor to the prized possession of prominence at the top of the SERP it is fundamental to understand your user’s intent. What do they want to discover, what do they want to buy, what do they want to know? A common name for a featured snippet is an answer box and perhaps this is a little more apt. An answer box does what it says on the tin, it aims to answer the user’s questions. In the whitepaper Adrian linked there was analysis on the types of keywords that had a higher frequency of featured snippets and there were some services and industries that were far more common than the average. As you can see, there are some topics that have a much high chance of displaying a featured snippet and if you are a company in one of these industries it is a fantastic opportunity to start creating content that may be featured. Before setting out to create content and spending long hours in doing so it is worth doing your research to understand if content from your industry is commonly used in featured snippets. So let’s say you’re a company that sells health food boxes. We can see that the terms ‘often’ and ‘eat’ have featured snippets regularly. If you were able to find a question around these keywords and produce a piece of content answering how often you should eat a certain food and already rank on page 1 for this keyword you stand a good chance of gaining a featured snippet. It is at this point Adrian begins to dispense advice from findings he made in his quest for understanding patterns in Google’s algorithms. We are all grateful for him carrying out this task as it can be like trying to find a needle in a haystack, or maybe hay in a needle stack, painful. He provided 3 important caveats. Aim to be ranking on the first page. Have no PPC campaigns currently running for these keywords. Have your site organically above the fold. So, what is Adrian’s game plan for creating content that has an increased likelihood of being featured. First, he aims to answer the target question in the first 100 words of the article and ask the question in the title. Seems pretty straightforward, cut out the waffle and make it easier for Google to determine whether you are answering the question. Next, he suggests we answer multiple questions related to the main question. If you’re looking to answer questions around car insurance for new drivers, answer questions for drivers of all ages, and vehicles. Third, some on page SEO, create multiple H2 headings with short content which directly address the heading. Here he suggests creating ‘how to’ lists where applicable. Fourth, create content addressing the topic in full. Giving in depth insights and covering the main points and questions people have. He suggests creating content of at least 1200 words in length. Fifth, where applicable host calculators, images, videos or charts. You may not have created them but they help to add authority to your site and show you are aiming to provide answers and quality content. Finally, maintain and implement strong SEO housekeeping. Keep your headings, 301 redirects all clean, neat and tidy which will help your SEO ranking as well as improving featured snippet likelihood. After hearing Adrian speak and taking on board his advice I had a strong feeling that everything that was being suggested was obtainable and totally doable. He wasn’t suggesting we perform miracles but instead have a check list of goals and make sure we tick each one. To someone new to the industry I found it refreshing to hear things that were so straightforward. At the tail end of his talk, Adrian stressed that this information is all anecdotal and what may have worked for him may not work for you. However, all of the advice he gave on increasing your chances of attaining a featured snippet will lead you to creating content that is more valuable for your audience and lead you to implement good SEO practices which, in my eyes, is a win-win.